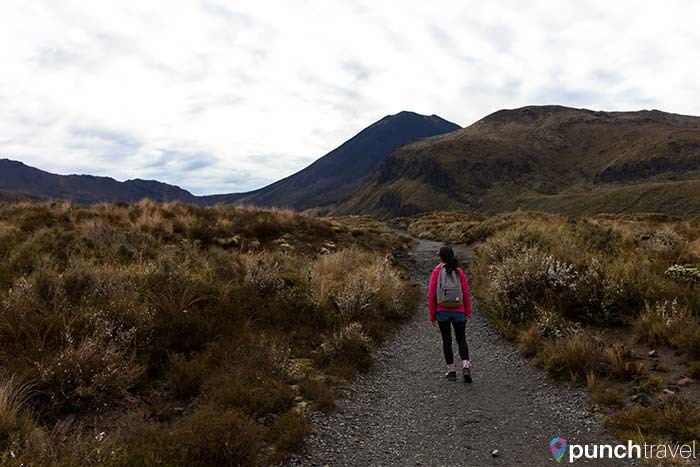 When New Zealander’s do a day hike, they really do a day hike. 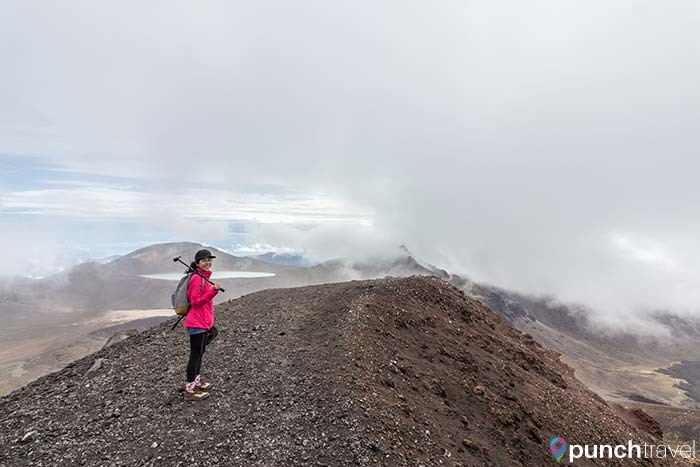 The day hikes we did in Vancouver are a walk in the park compared to New Zealand’s Tongariro Alpine Crossing. 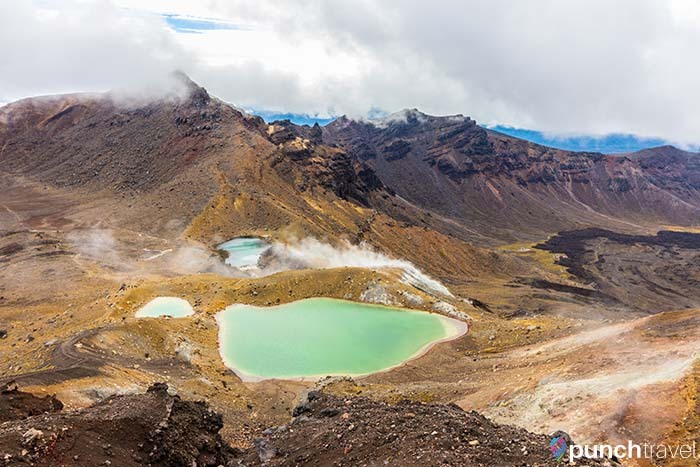 New Zealand is known for its extreme sports so when they do a day hike, it is no joke. 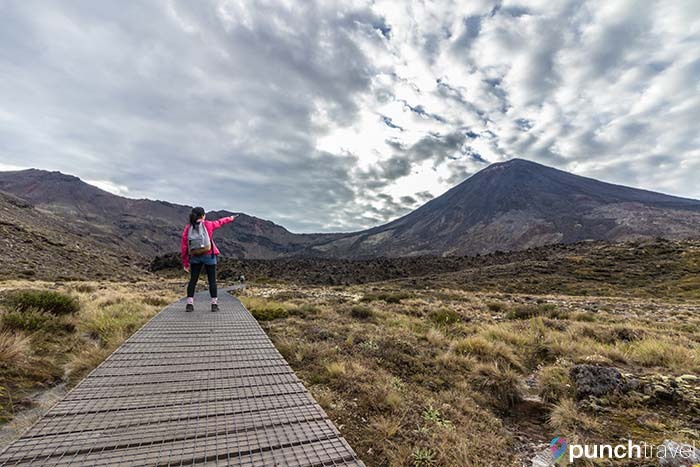 The Tongariro Alpine Crossing is considered New Zealand’s best day hike. At 19.4 kilometers and an elevation gain of 800 meters, don’t expect it to be easy. Since we hiked Mt. 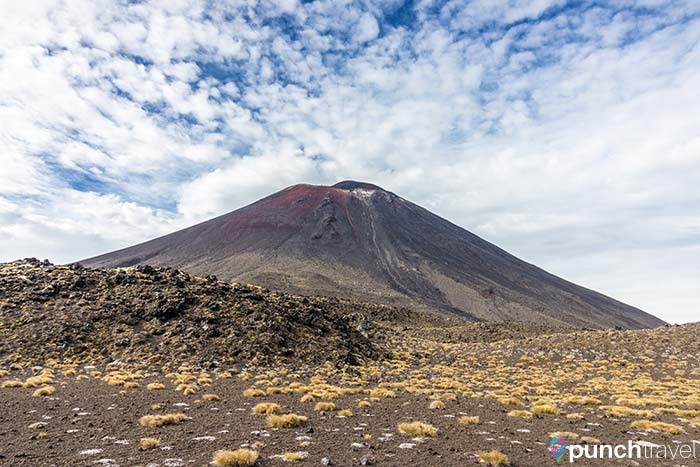 Fuji last year without any hiking gear or particular training, we figured that the Tongariro Alpine Crossing was achievable without any special preparation. Were we overconfident? 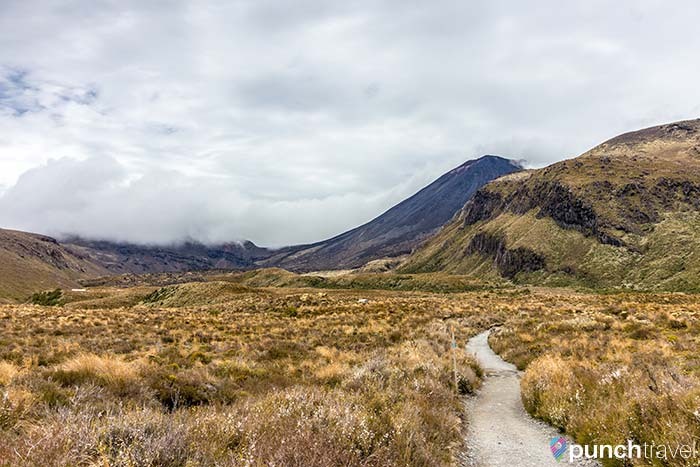 After a false start the previous day due to weather, we set out for the Tongariro Alpine Crossing early in the morning to beat the crowds. Most people start the hike from Mangatepopo Car Park. 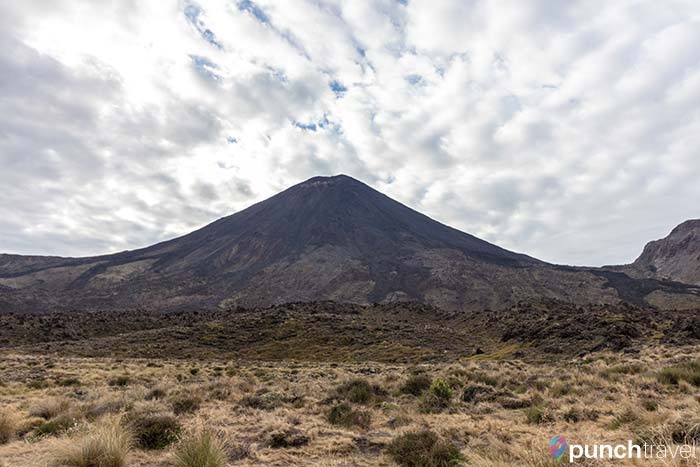 Although it is recommended to park at Keetahi Car Park and take a shuttle to the start, we decided to take our chances and park at Mangatepopo. Our gamble paid off – the parking lot was mostly empty at 7:30am. I was nervous about leaving our belongings in the car because I heard there were break-ins. After all, the cars are left in a remote area with the owner gone for several hours. We hid our valuables and hoped for the best. The first part of the hike is fairly flat and even. 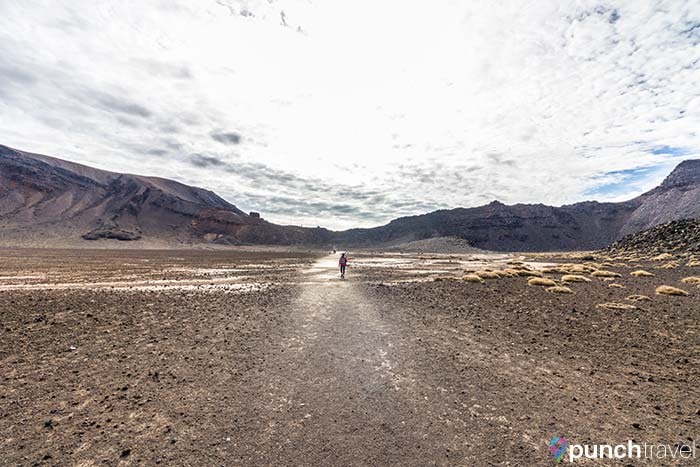 There wasn’t much to look at except for dry, volcanic terrain and plant life. I could get used to this. This part of the hike is mostly on boardwalks because it passes over the runoff from the springs. It’s quite peaceful with only the sound of bubbling springs and chirping birds to accompany you. At this point, Mt Nguarehenoe becomes visible. This volcano stood in for Mt. Doom in the Lord of the Rings movies. This was the last chance to use the restroom, so I figured I better take advantage of it. Restroom would be putting it nicely – it’s actually a drop toilet with no toilet paper, soap nor water so plan accordingly. This is where the hike starts becoming really difficult. Right after Soda Springs, the incline up the mountain begins with a series of unrelenting steps. Nature’s stairmaster. 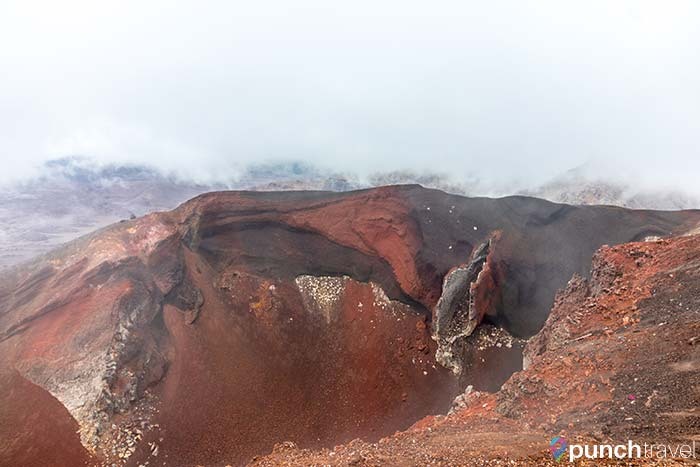 The South Crater is a wide empty void between the hills and the massive Mt. Nguarehenoe. There’s a turnoff to hike to the summit of Mt Nguarehenoe but we opted not to undertake the 3 hour return journey. Just when we thought that we had finished the most difficult incline, we looked up to see…. Only more mountain. Ugh. The hike up is narrow and rocky. On the left is a rocky valley, and on the right is a scary, massive red crater. Needless to say, tread carefully. It had become increasingly windy and cold. It was probably around 5 degrees celsius with the wind chill. My nose was running – more like dripping – and I was too consumed with the desire to finish hiking then to attend to it. Once we reached the peak though it was all worth it. We were now at the highest point of our hike and the views were awesome. Below us were the Emerald Lakes. The green color comes from the minerals in the water. 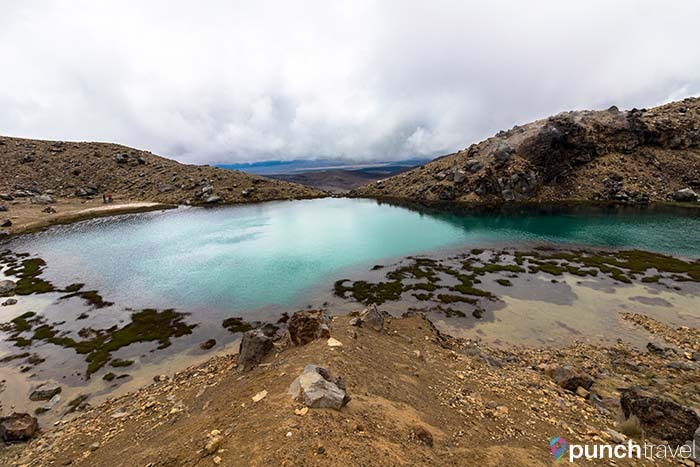 Behind the valley was the equally impressive Blue Lake. Coming down the back side of the crater was like skiing through coffee grinds. I just kept thinking to myself, pizza not french fries! Passing by the Emerald Lakes, the smell of sulphur is very strong. The steam from the ground provided a bit of warmth from the windy summit. We finally reached the Blue Lake at about 11am. We had a break here to eat the food we brought and replenish the calories lost. It was dining with a million dollar view. 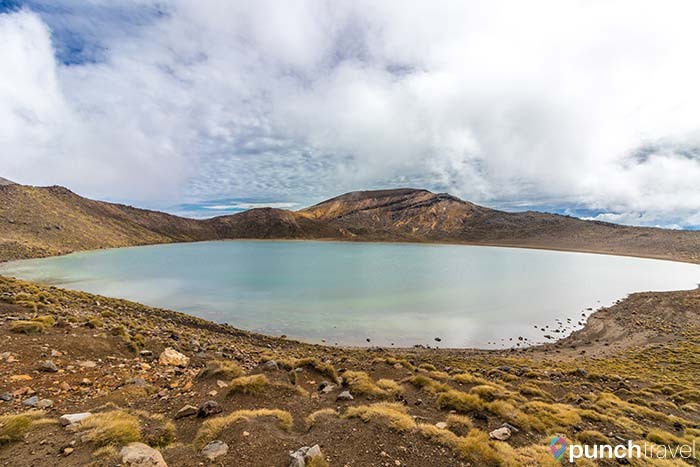 The remainder of the Tongariro Alpine Crossing continues to Keetapihi Hut and CarPark, another 2.5 hours from Blue Lake. However we returned back from this point in order to get back to our car at Mangetopopo Car Park. 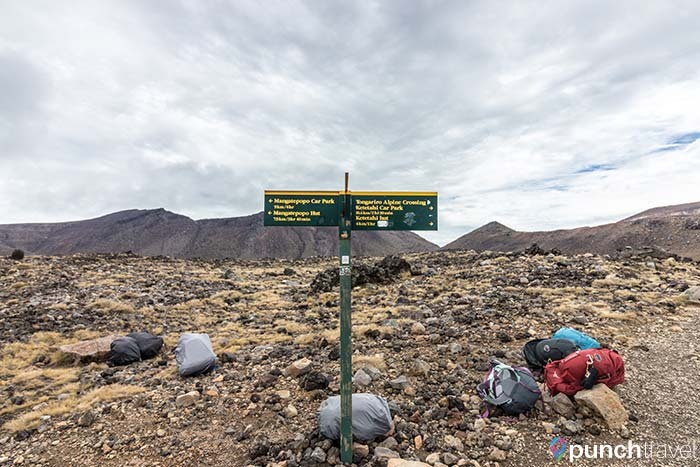 This meant going back up the volcanic hillside of the Red Crater. This was probably the most difficult part of the hike. Imagine climbing up a sand dune in a crazy wind vortex with limited visibility. Now add a stream of people coming down while you’re going up and to top it off a nose that won’t stop dripping. That was me. We made it back to our car at 2:30pm, and luckily our car and all our belongings were still there. 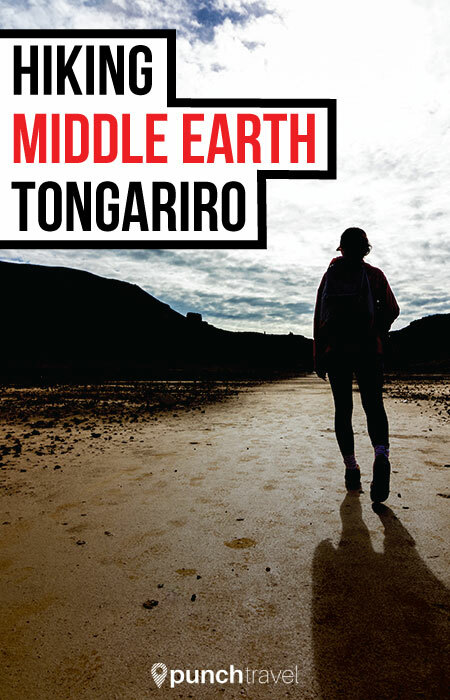 We felt a great sense of accomplishment in completing the Tongariro Alpine Crossing. Not only for the 20 kilometers but also because it was probably the most beautiful hike we’ve ever done. I was glad that I wore hiking boots because the rocky terrain will destroy any other pair of shoes. Matt wore flat-soled city sneakers and had no problem but he’s pretty nonchalant when it comes to hiking preparation. We brought about 5 liters of water for the two of us but only drank about half of it. We didn’t do any particular training in advance, but we are both fairly active and in good health. If you are older or less fit, you may want the aid of walking poles to help you up some of the rocky and steep paths. The views are incredible! Also that hike sounds insane, good work! The hike was not easy but the views were definitely worth it!